The last couple of years were intense in terms of energy, they forced us to do inner work, heal emotional wounds, remove blockages. This year is about starting fresh and expansion. This 2019 will still help you heal the remaining wounds, let go of the remaining emotional weight you need to let go off, but it’s mostly focused outward on expansion. With 2012 we started a 7 year cycle of awakening and opening our eyes to better versions of ourselves, to the truth and to the beautiful reality we can all create. The start of 2019 completes this 7 year cycle of awakening and begins a new era of using this knowledge to actually elevate the world, make it a better place for all humanity. 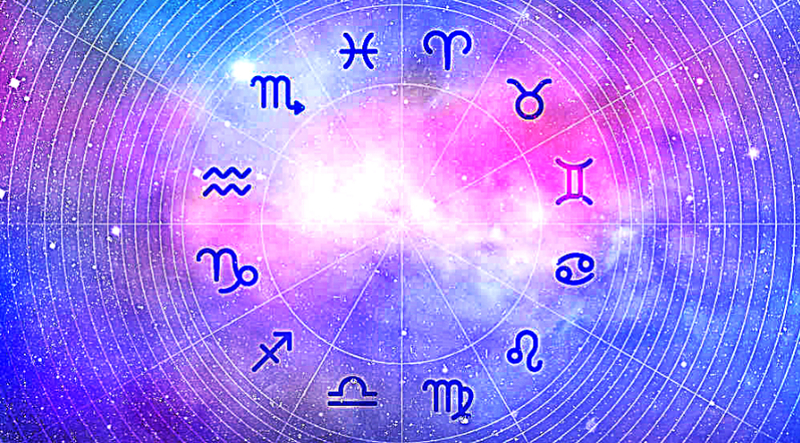 Astrology experts at Mind Body Green have created beautiful guide to what 2019 has in store for each zodiac sign. Go to Mind Body Green if you want to read the complete guide. The planets are soaring through the top of your chart, pushing you to think big, and go even bigger. Work hard, play hard, that’s the Aries way, no matter what’s happening in the stars. But in 2019, the planets are soaring through the top of your chart, pushing you to think big, and go even bigger. With healing Chiron entering Aries and disruptive Uranus finally exiting your sign in March, after eight long years, you can gather your wits and channel big ideas into something that makes a lasting impact. Combine your superpowers for the win! In 2019, it’s all about who you know, and what you do with those relationships. Your closest connections are valuable currency, so nurture them wisely. A joint venture could be profitable, and relationships could turn extremely official, think marriage, pregnancy, a shared investment. Avoid getting scattered among too many commitments, though. This is a year to narrow your focus! Studying and connecting with people outside your circle can help you make savvy, strategic ideas a reality. Once pioneering Uranus enters Taurus in March, an eight year cycle begins that could take one of your original ideas into the big leagues or pull you onto a whole new path. As the sign of the Twins, partnership comes naturally to you. But this year, you’re learning important lessons about how to move from lust to trust. It’s not just about the “high” of quick chemistry but building relationships that last for the long haul. That requires a level of risk that you’ll finally be ready to take in 2019. Clear the space for high vibe new people to enter your orbit! While “green and clean” might be your M.O. for 2019, that doesn’t mean you won’t have fun. In fact, changing the world could become a serious adventure for you, Cancer. Your solo star is rising, and powerful partnerships can help bring your visionary ideas to new heights. With trailblazing Uranus entering your collaboration corner for eight years this March, it’s all about teaming up with your tribe for a common cause. Time to uplevel your game, Leo! With lucky Jupiter in your self expression zone, fame could come calling. But even if you’re not under the direct beams of the spotlight, you’ll be recognized for your creativity and courage, and you’re happy to be admired for these traits. With pioneering Uranus starting an eight year visit to your professional zone, 2019 could take your work in a whole new direction. Cooking, nesting, and treating yourself like gold will bring back your inside out glow. Where do you feel a sense of “home,” Virgo? Whether you move to a new address, discover a favorite vacation spot, or deepen your emotional bonds, 2019 finds you craving deeper roots. This year, connecting from the heart could bring luck and new adventure. Shake off your perfectionism. It’s your authenticity that makes people fall in love with you, not a polished public persona. Luckily, iconoclastic Uranus is starting an eight year visit to your outspoken ninth house this March, which will encourage you to go public with your wilder side. You’ll also be inspired to take some big risks, like traveling to far flung places or starting your own business. As busy as you are, carve out time for soul searching, as an eight year phase of emotional and spiritual discovery will begin in March. Got a message to spread? Shout it from the rooftops, and the social media feeds. This year will favor all forms of communication, teaching, writing, learning, and media making. Your domestic sphere is also highly active, and you could travel between towns in search of a new neighborhood to call home. Your relationship with a female relative could go through an important growth phase, or you may need to learn how to set firm boundaries with loved ones. As busy as you are, carve out time for soul searching, as an eight year phase of emotional and spiritual discovery will begin in March. Your luckiest money year in over a decade is underway! Scorpio, you’re in “builder” mode now, as 2019 brings a rush of productivity to your life. You could be offered a job with travel or relocation, or you might make some bold decisions to change your lifestyle. Shed outmoded habits and stick to simple and affirming routines. You’ll become centered and confident, which could attract anything from a moneymaking opportunity to improved relationship prospects. Prepare to attract and be attracted to people who are wildly different from your usual crowd. Friends who fearlessly flaunt their authenticity will inspire you to do the same. Ready, set, reinvent! This could be one of your most exciting years in over a decade, as you embark on a fresh 12 year chapter. Shake off any heavy or disappointing vibes from 2018, which was a year filled with karmic lessons and possibly a few struggles. Now, as the stars press “go” on your passions, you can pursue your dreams in a more mature and sensible way. Instead of leaping without a parachute, you’ve learned to take chances without foolishly gambling. You’ve been working toward this sweet spot since 2014, and you’ve paid your dues. Enjoy the fruits of your labor, Sag! With growth driven Jupiter in your healing 12th house, some deep inner work could be in order this year. Who are you, anyway? That answer could change a few times over in 2019, as the planets strip away any false or outmoded layers of your personality. There are parts of your life that you’ve outgrown, and this is an important year to let those go. You’re clearing the path for a totally new 12 year chapter of your life that will begin in December. With edgy Uranus starting an eight year visit to your expressive fifth house this March, you might shock the world by revealing some bold new sides of yourself. Unleash your inner rock star or artiste, it’s your turn to shine! New friendships and networking keep your world feeling fresh in 2019, as team spirit hits peak levels. Choose the company you keep carefully, as you’re especially empathic and will soak up people’s energy like a sponge. A spiritual or creative pursuit could turn into more than just a hobby, especially if you contribute your talents to a cause. Starting in March, you could search for a new home, invest in vacation property, or feel a surprising urge to expand your family, possibly through pregnancy or adoption. With destabilizing Uranus making a permanent exit from your money sector after eight unpredictable years, funds should start to stabilize. Your default setting may not be boss mode, but in 2019 you’ll find the adventure in ambition! That doesn’t have to mean power suits and boring board meetings, although there may be a few of those in your future. As a Pisces, you know how to create success with your signature stamp on it, and a heaping helping of compassion. Look forward to improved health and energy levels this year, and dynamic new friendships that inspire you to see the world through a new wide angle lens.